Very private & secluded well maintained custom home with many trees & great views of mtns. 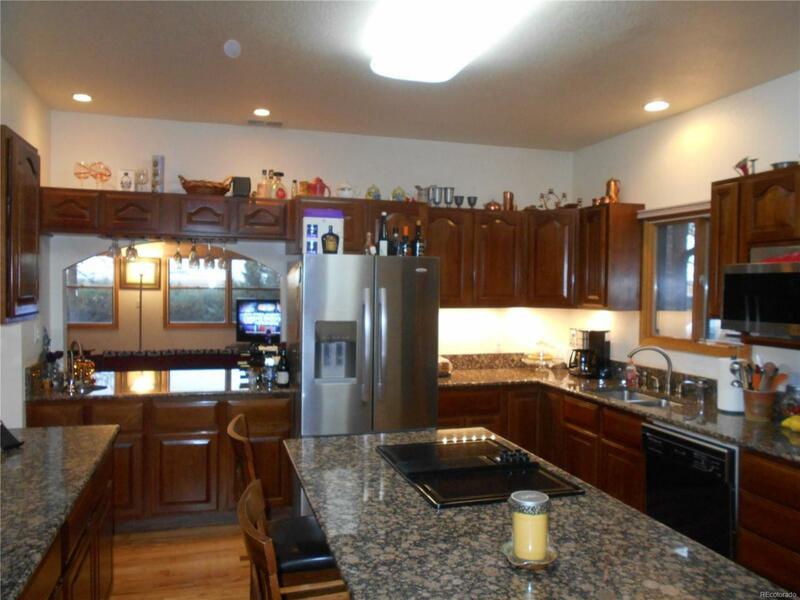 Beautiful kitchen, large island & breakfast bar, granite counters, down draft range & double ovens, pantry, lots of upgrades, sun room with views of Platte River Valley. Loafing shed for horses, piped water to pasture areas, shop, large heated 3 car garage, 3 patio areas, sprinkling system. How water heat & central air, solar to pre heat water with 100 gallon H20. All #s & schools to be verified by Buyer. Offered by Mb Giles Realty Llc.